MUMBAI: Here is another media professional who is getting more regional responsibility. 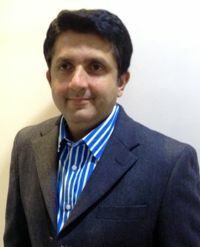 And that gent is Amin Lakhani whom Mindshare has elevated to Leader - Team Unilever south Asia. In his new role Amin Lakhani will be heading Fulcrum, a unit of Mindshare that manages the media planning & buying for the Unilever business in South Asia, including India, Pakistan, Bangladesh and Sri Lanka. He will be replacing Anupriya Acharya who is moving on from the organisation. Amin has around 15 years experience which includes a stint as a product manager with an Indian pharmaceutical company and in media agencies. During his time with GroupM India, Amin has handled various roles starting with Maxus as the training head for west region, moving on to GroupM as west trading head and then on to Mindshare where he played the architect of The Exchange function in 2008, finally leading up and becoming the trading lead for Unilever business. Announcing the appointment, Mindshare leader south Asia Ravi Rao said, "Amin was our unanimous choice and we know he will turn a new chapter in Mindshare Fulcrum by raising media excellence in strategic planning and world class execution backed up with award winning innovations for Unilever. We wish Anupriya all the best and thank her for a short but great stint at Mindshare Fulcrum." Commenting on his new role Lakhani said, "It is an exciting opportunity especially in challenging times. Mindshare Fulcrum has been a centre of excellence. I am looking forward to building on our strong base and continuing to provide delight to India‘s most esteemed client, Unilever. Speaking to indiantelevision.com Anupriya Acharya said, "I leave as new challenges beckon me! But I have thoroughly enjoyed leading Team Unilever south Asia for Mindshare, especially through the challenging review year of 2012. The significant progress made in strategic initiatives, content, experiential, awards won and many other best practices has been truly rewarding for me both personally and professionally. Both the client and my larger organisation have been very supportive. I leave with rich experience and happy memories of steering this massive ship and will miss my rock-star team! I wish all of them all the very best."